I can’t believe that I’ve never died pasta before! Sometimes I think that I’ve been hiding under a rock. Really, what have I been waiting for? Well…I am hooked, y’all. It’s so much fun. The possibilities have just opened so wide for my crafting world. 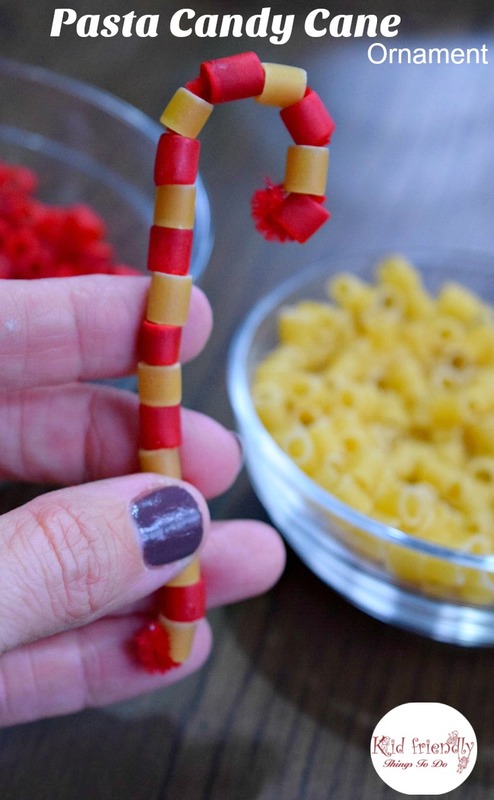 This time, I died half of the pasta red for our Pasta Cane Ornament Craft. 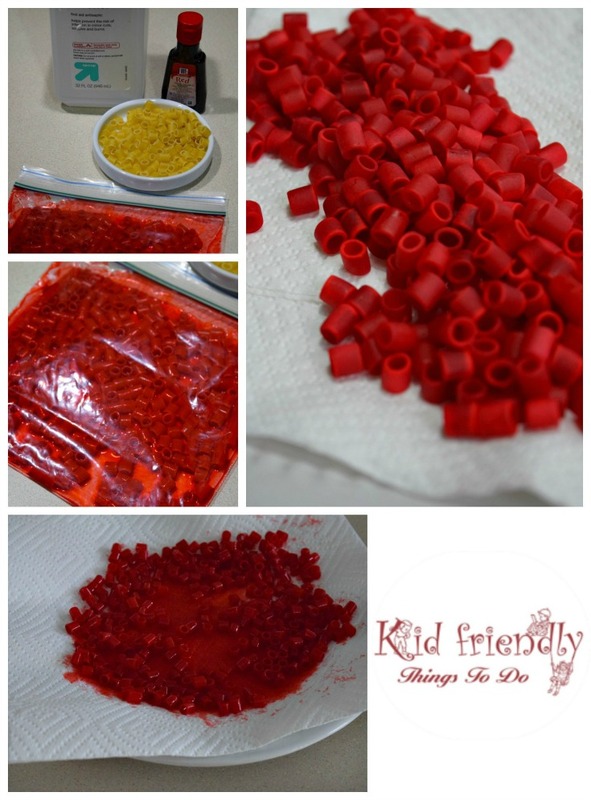 Can you believe how vibrant the red turned out? It’s so simple, too. You know that always appeals to me. 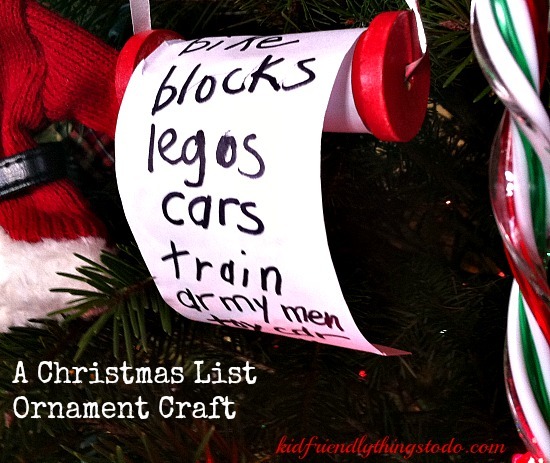 It’s the holidays, and we just don’t have time for the complicated stuff. 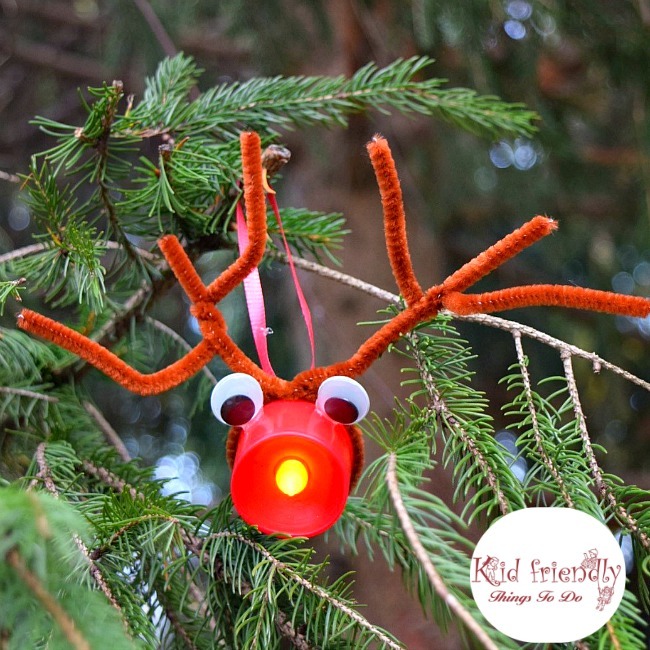 This is a perfect craft for preschoolers, kids and adults of all ages. It’s so therapeutic. 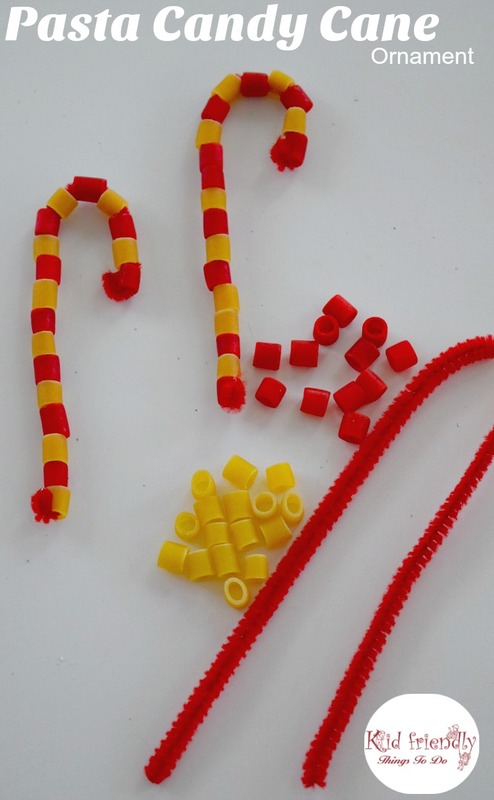 Like beading without the frustration of the beads falling off the end of the wire! 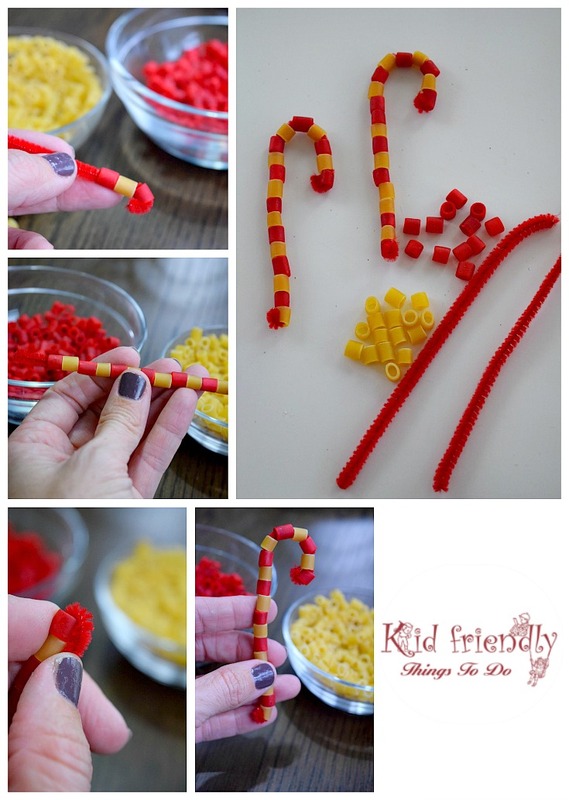 Ditalini Pasta – You’ll need about 8 red and 8 natural for each candy cane. I just made about 1/2 cup of red. 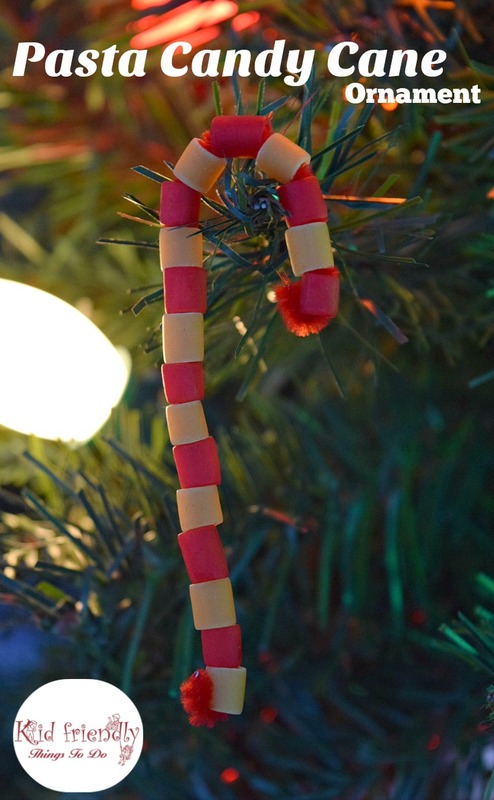 With 5 people making candy canes, we had a lot left over for future crafting. Rubbing alcohol – about 1 Tbsp. 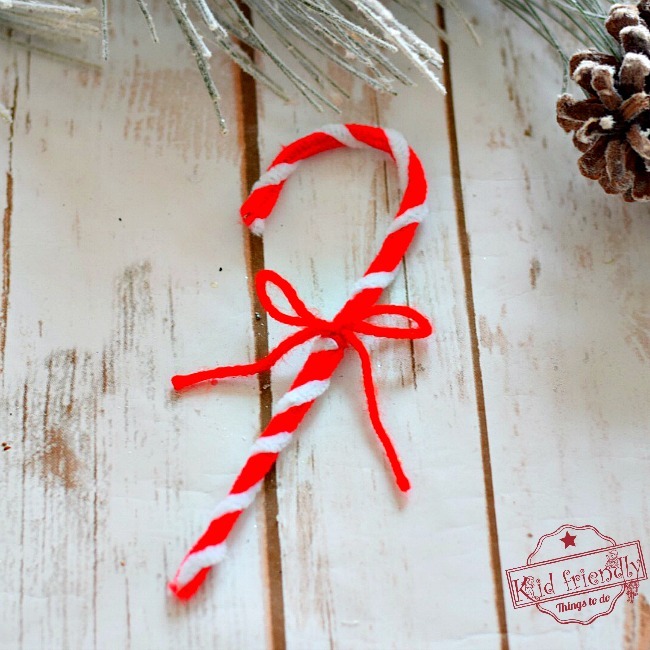 Shape into a candy cane and do some more!